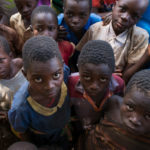 Approximately 115 people in Africa die every hour from diseases connected to poor sanitation, poor hygiene and contaminated water. Two international WaterStep partners, Paul Owino and Humphrey Muchuma, are currently working on life-saving projects in Kenya to combat this statistic. 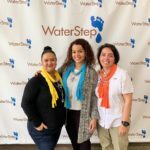 This summer, intern Mercy Kazaya helped WaterStep create a business development kit to provide entrepreneurs a means to monetize WaterStep’s BleachMaker. 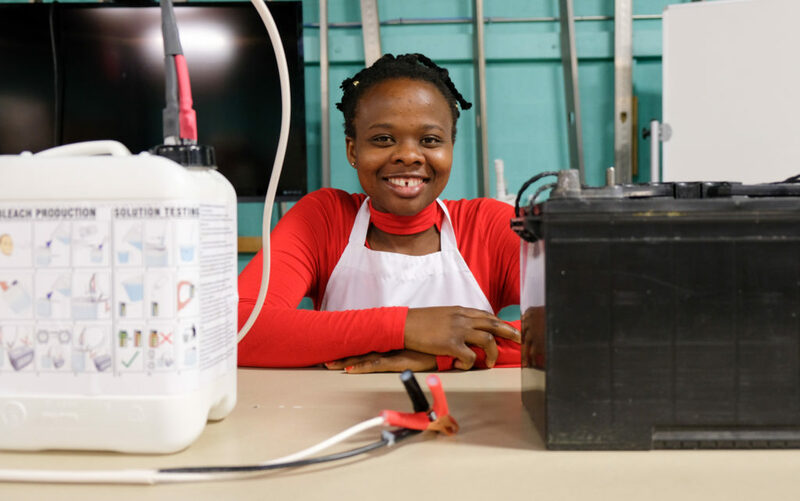 The BleachMaker is a portable and cost-efficient device that produces lifesaving disinfectant using only salt, water, and a power source. The Business Development kit contains everything someone needs to start a business using the BleachMaker. Each kit includes a BleachMaker, business plan template, labels, and marketing material. Mercy, took the kit to Kenya and demonstrated it to our partner Paul Owino who was chosen by WaterStep to help prototype the kit. 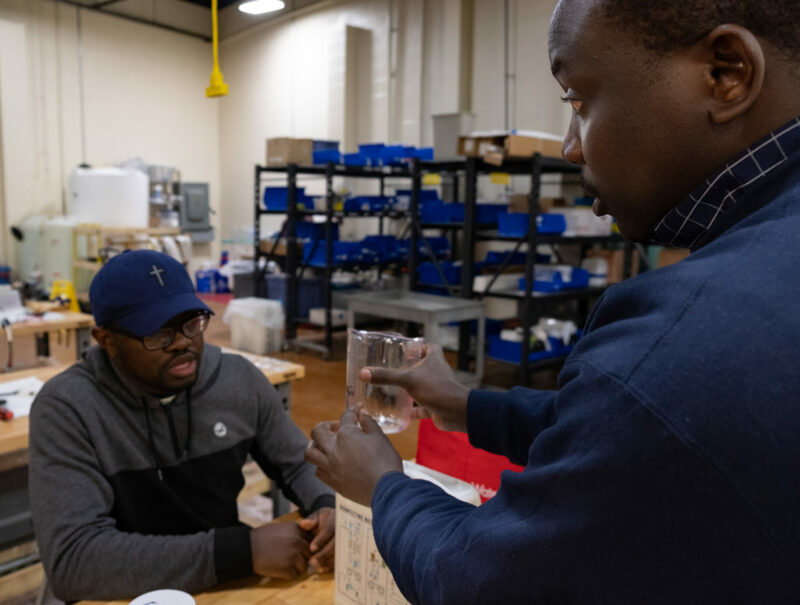 Mercy, developed the WaterStep BleachMaker Business Development Kit to help bring life saving disinfection and economic opportunities to people in need. 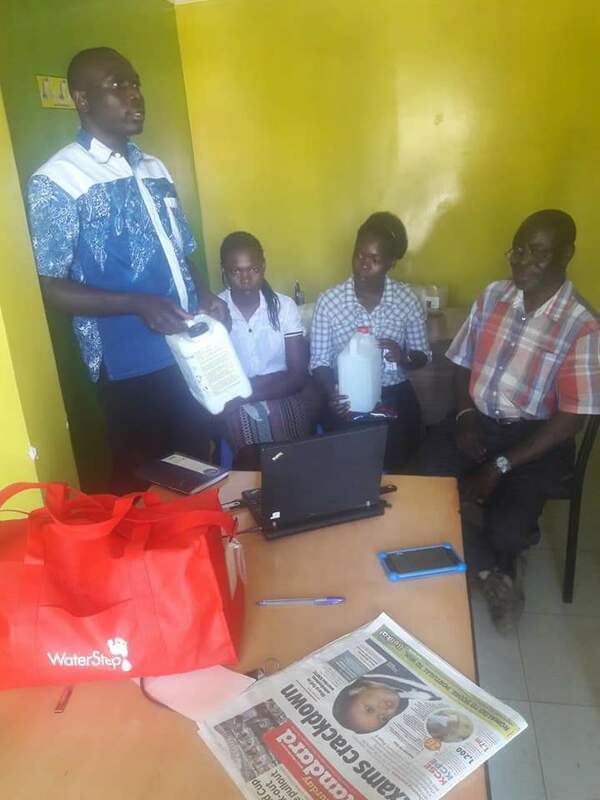 Paul is prototyping the WaterStep BleachMaker Business Development Kit in Kenya. There, Paul will develop monatization strategies using the BleachMaker to manufacture disenfectant to sell bleach to families, schools, hospitals and wholesalers, where bleach can be used as a disinfectant for sanitation purposes and to purify drinking water. Paul presented his findings and proposals to WaterStep staff. Bleach is considered an expensive commodity in the developing world. WaterStep has found it priced upwards of $38.00 a gallon, in some markets. It’s sold in stores far away from remote villages, and some don’t even know exactly what it is. Therefore, this project aims to help not only increase hygiene and sanitation awareness but also to produce and offer bleach at a cheaper cost, provide delivery services and employ individuals who live in areas with high unemployment and poverty rates. Paul teaches how to set-up and use the BleachMaker while visiting WaterStep. Paul breaks the project down into four stages: build, franchise, empower and distribute. Residents in the community become employees by producing bleach and remaining hands-on in the packaging process. 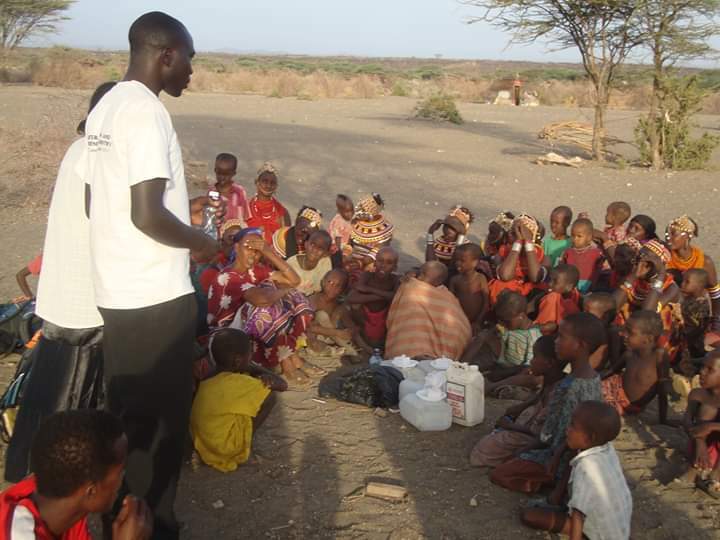 Paul and his staff demonstrating the BleachMaker and business concept to communities in Kenya. Paul finds key personnel in villages to manage the business and influence the rest of the community to get on board with the importance of the new project. The bleach will be manufactured and sold through roadside kiosks. Manufacturing and packaging bleach for distribution and sale. Those involved in the project develop essential business skills like negotiating, selling and networking — skills they can use for life. By doing so, they also establish newfound confidence and a sense of responsibility in their community. Paul’s team teaching new personnel in the proper use of bleach. Offering the convenience of delivery, employees distribute the bleach on motorcycles and tuk tuks directly to buyers. This project has many success stories. One, in particular, involves a young man named Steve, who has six siblings dependent on him. His father passed away from HIV, and his mother is very ill, leaving him financially responsible for his family. 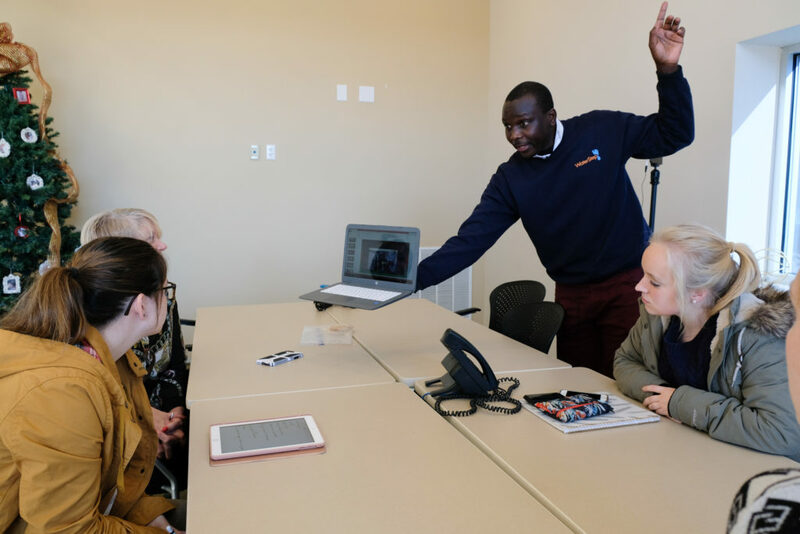 Steve was initially depressed and lacked motivation when Owino first met him, but after being involved in this project, Owino says Steve has grown into a new man, walking and talking more confidently than ever before because of his involvement in this project. Paul says Steve is just one example. There are many “Steves” out there, and Owino wants to find them. 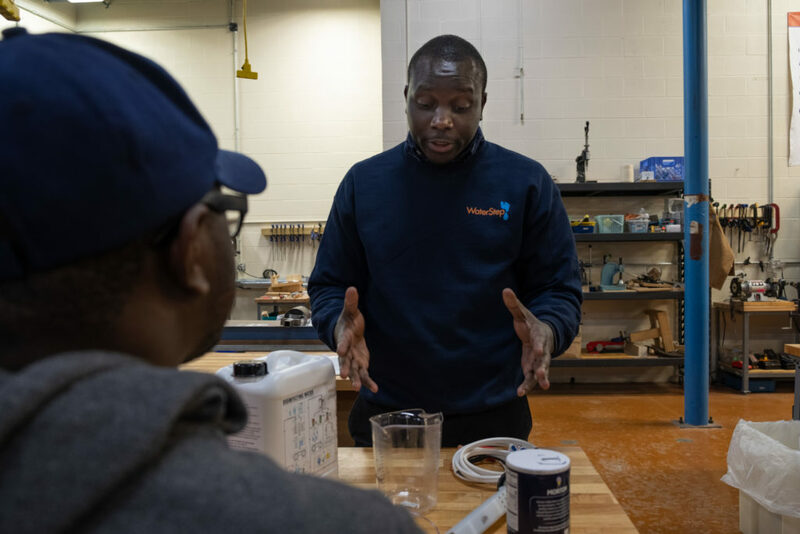 While doing so, he looks forward to educating Kenyans about the importance of hygiene and saving lives with clean, safe water.“Cleanliness and hygiene are for everyone,” Paul says. Steve posing with his family and friends. 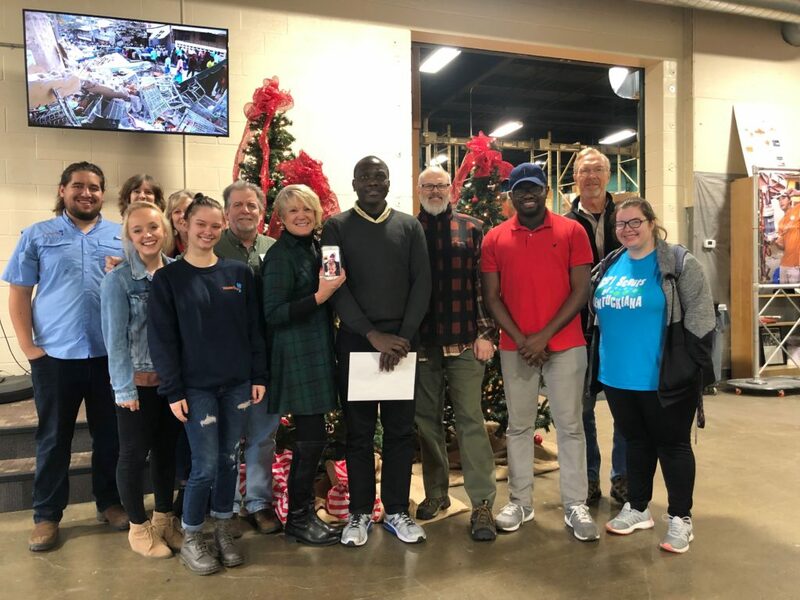 Recently, Paul visited the U.S. and spent a week with WaterStep’s Missions Department working on lesson’s learned, and strategic development for the Business Development Kit. Paul, and WaterStep created a startup budget including all of the costs for starting a Bleach Business in Kenya. These costs include renting a kiosk for five franchisee’s to work from, government fees, operating costs, and a shared motorcycle for distribution. 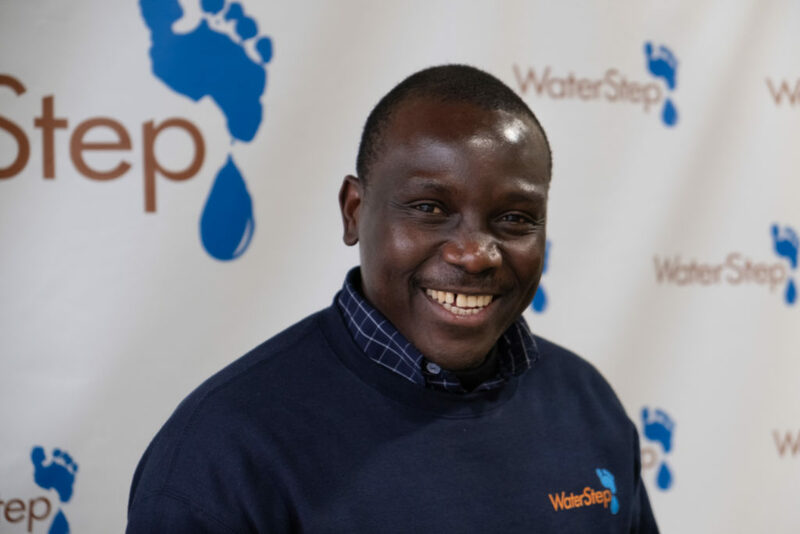 WaterStep found that in Kenya, starting a bleach buisness providing employment for five people only costs about $3,000. Paul demonstrating the proper use of the BleachMaker while visiting WaterStep. The day before Paul flew back to Kenya WaterStep surprised him with a gift of several BleachMakers and $2,500. The equipment and money will cover the cost of starting his first BleachMaker Kiosk and provide employment for five Kenyans. Of course, Paul isn’t stopping there! He has plans for creating more franchises and building a manufacturing and training center to provide cost effective bleach and employment for many more. In one Bungoma village, Muchuma repaired a faulty water pump that had been an issue in the remote village for some time. “We can stay here from morning to evening and leave without water,” one resident said explaining the defectiveness of the water pump. Approximately 500 people depend on the water from this pump, and when there is no water, they find other sources, such as streams, which can be hazardous to their health. A ribbon cutting ceremony presented the village with the repaired water pump, to which the residents responded with glee and appreciation. 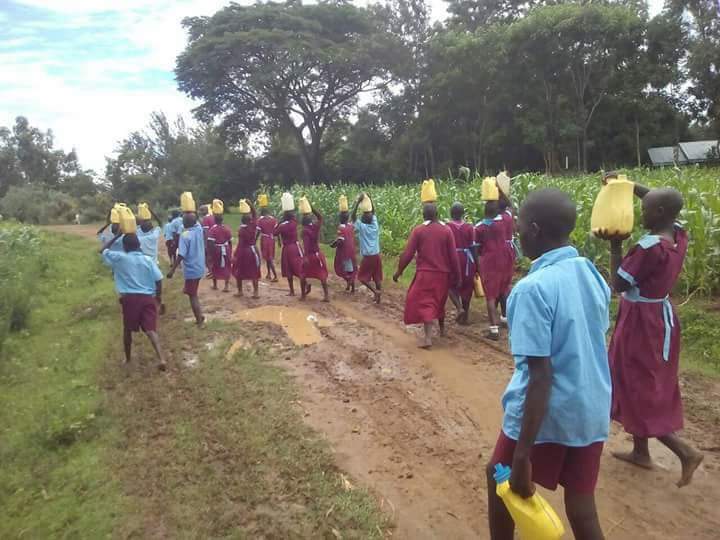 Another one of Humphrey’s projects involved giving Bungoma D.E.B Primary School, the most populated public primary school in the country, a water tank from WaterStep to combat poor sanitation at the school. “On behalf of myself, on behalf of the children of this school, teachers, and the community of Bungoma D.E.B school, I want to thank WaterStep for this generosity,” said Tobias Khisa, Bungoma D.E.B Primary School principal, after receiving the water tank. This water tank will provide students and the surrounding community with safe water and promote hand washing in the school to prevent diseases from spreading. 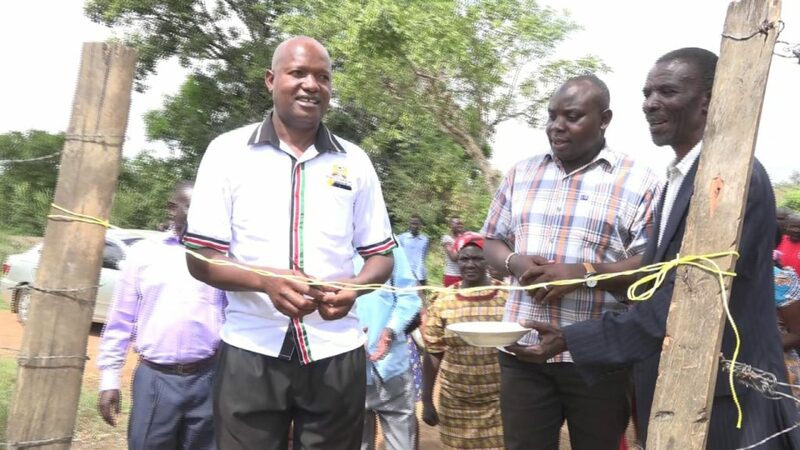 Humphrey also oversaw the installation of another water tank for the Sikusi Dispensary, a clinic that has had to refer expectant mothers to other medical facilities for delivery due to an inadequate supply of water for the delivery process. 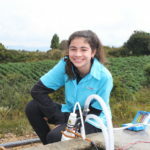 “Now they can be able to harvest more water, and this water can be able to assist them just in case they have not been supplied with water,” Humphrey said. 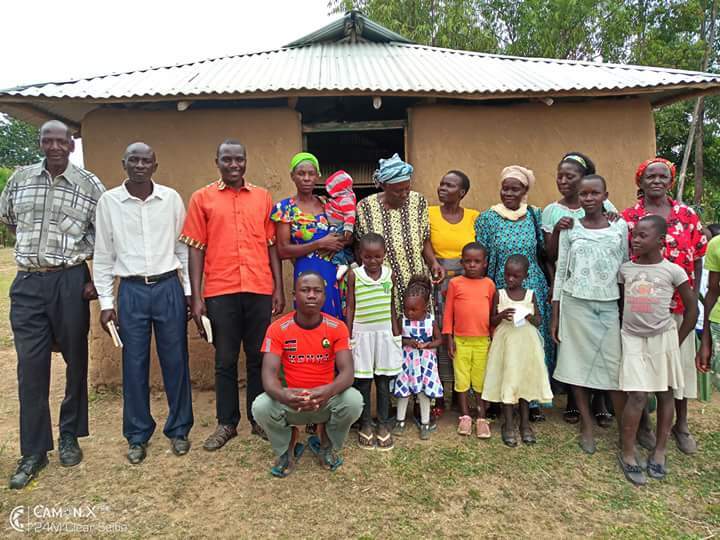 All of these projects – from a sustainable bleach business to repairing a faulty water pump for a large village and installing water tanks for a school and a clinic – make a transformative impact on the lives of people in Kenya. Your donations help make these projects possible. Visit here to learn more about our current projects and how you can help save lives with safe water.